Yolandi du Toit and Ben Melt Swanepoel took part as fun riders in 2017 and relished the opportunity to simply ride their bikes rather than race. Photo by Oakpics.com. The second edition of the Glacier Cradle Traverse gets underway at Avianto, in Muldersdrift, this Friday; the 6th of April. The event features three-day, two-day and fun ride options and will provide mountain bikers with the chance to explore some of Gauteng’s best singletracks in a relatively non-competitive atmosphere. Relatively non-competitive that is because riders are encouraged to slow down, spend time on the trails with friends and soak up the hospitality provided by Glacier by Sanlam, Dryland Event Management and Avianto. For those who still feel the need to race there will be category prizes up for grabs and age group prizes for the children taking part in the fun ride on Sunday. Among the famous names lining up for the event include Yolande de Villiers, Sarah Hill, Grant Usher, Danny Fowler, Andrew Stockwell, Ben Melt Swanepoel, Yolandi du Toit and the inaugural winner of the women’s African jersey at the Absa Cape Epic Amy McDougall. De Villiers for one will certainly be racing, as the Oudtshoorn local is too competitive to enjoy a relaxed pedal around the Cradle of Humankind if there is a race number board pinned to her bike. If Hill and McDougall decide to make a race of it the solo women’s category could well be the most competitive sub-competition within the event then. In the Men’s Team category, Fowler and Stockwell will once again be representing Continental Tyres and as the 2017 champions they will be eager to defend their title. Two riders who embraced the relaxed spirit of the Glacier Cradle Traverse in the debut edition were Du Toit and Swanepoel. The Garmin pairing were content to ride in the midfield throughout last year’s three stages and spent each day chatting to their fellow riders and illustrating how the more technical route features can be ridden. The couple’s laid back approach further endeared them to their fellow riders, most of who were already honoured to have riders of their pedigree lining up among the mid-field rather than at the front of the start group. For the busy Gauteng business folk unable to sneak out of the office for Friday’s first stage the Glacier Cradle Traverse has provided a two-day option. Skipping the 36 kilometre long first stage the two-day riders join on Saturday the 7th of April for the 46 kilometre long second stage; before concluding the event with the 41 kilometre long final stage on Sunday the 8th. Riders who have not entered the Glacier Cradle Traverse can still take part in the weekend’s mountain bike festivities by entering the Glacier Cradle Schools Challenge and Fun Ride on Sunday the 8th of April. The weekend’s shortest event boasts a 10 kilometre route and prizes for school children in the under 14 and under 18 boys and girls categories. Entries to the Schools Challenge and Fun Ride open at 07h00 on Sunday morning at the start/finish venue, the Biogen Sports Park, and the R100 entry fee will be donated to title sponsors’ Glacier by Sanlam’s chosen charity: Save the Rhino. 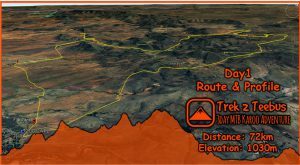 For more information on the race, and to follow the action as it unfolds with daily reports visit www.cradletraverse.co.za. 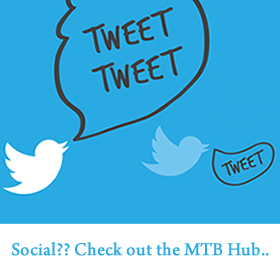 Or follow @CradleTraverse on Twitter, @drylandza on Instagram and like the Glacier Cradle Traverse Facebook page for live updates from the 2018 Glacier Cradle Traverse.